Lisa O’Donnell is joined the WSU Social Work faculty in 2017 as an Assistant Professor. She received her PhD from the University of Michigan’s Joint PhD program in Social Work and Clinical Psychology in 2016. Following her doctoral studies, she was a post-doctoral scholar under the Max Gray Fellowship in the Child and Adolescent Mood Disorders Program (CHAMP) within UCLA’s Department of Psychiatry with Dr. David Miklowitz. Overall, her research examines the nature of functional and quality of life deficits such as employment impairments found among individuals with bipolar disorder and other severe mental illnesses, and the impact of current psychosocial interventions on remediating these deficits. 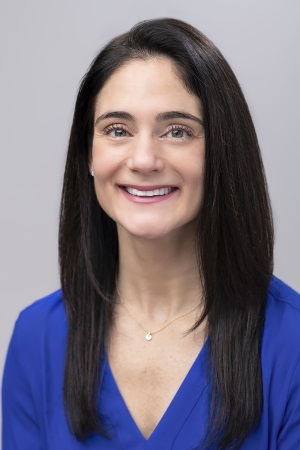 O’Donnell received her MSW in 2005 from the University of Michigan School of Social Work and is a Licensed Clinical Social Worker in the state of Michigan. She has been trained in various evidence-based treatments and has years of experience providing individual and group psychotherapy to adolescents, adults and families. The goal of this research is to identify biopsychosocial predictors of poor employment outcomes (work functioning and status) among individuals with bipolar disorder. Dr. O’Donnell is currently examining data from her dissertation study to determine the effects of clinical, neurocognitive, interpersonal and environmental features on how individuals with bipolar I disorder or bipolar II disorder function at work and whether they maintain employment. This research aims to inform novel approaches to remediating poor occupational functioning ultimately improving the overall functioning of individuals with bipolar disorder. Traditional assessment and treatment of bipolar disorder particularly among adolescents tends to overlook essential features of the disorder including quality of life, functional outcomes, and clinical outcomes such as mood instability. O’Donnell continues to utilize data (collected from a randomized treatment trial) following her post-doctoral fellowship at UCLA with David Miklowitz. Her research focuses on the effects of an evidence-based treatment for bipolar disorder on functional and quality of life outcomes. In addition, she is examining whether mood instability, the presence of intense, rapidly shifting emotional states, among adolescents with bipolar disorder is related to bipolar subtype (I vs. II) and prognostically associated with mood symptoms and global functioning over time. Occupational functioning is among the most problematic impairments for individuals with BD due to the high rates of unemployment and work impairments. One strategy to prevent impaired work functioning is disclosing one’s illness to ensure appropriate work accommodations. However, due to the potential risk of stigma in the workplace, people with BD are faced with a difficult dilemma of whether to disclose their illness at work and to whom they disclose. This university-funded study’s primary objective is to examine attitudes on working with individuals with BD among the general public of employed adults. More specifically, this study examines the relationships between attitudes towards work functioning, visible depressive and manic symptoms commonly exhibited by those with BD, and the disclosure of a bipolar disorder diagnosis. A clear understanding of the stereotypes (positive or negative) specific to bipolar disorder that potentially exist among coworkers and supervisors would help to further clarify the risks of disclosing one’s illness and also aid in the development of intervention strategies to better address these risks. Unemployment and work impairments are profound among adults with bipolar disorder. Unemployed individuals with BD experience financial loss, greater psychopathology, lower rates of self-esteem and social support, and a poorer quality of life. The goal of this research is to identify biopsychosocial predictors of poor employment outcomes (work functioning and status) among individuals with bipolar disorder. O’Donnell is currently examining data from her dissertation study to determine the effects of clinical, neurocognitive, interpersonal and environmental features on how individuals with bipolar I disorder or bipolar II disorder function at work and whether they maintain employment. This research aims to inform novel approaches to remediating poor occupational functioning ultimately improving the overall functioning of individuals with bipolar disorder. Traditional assessment and treatment of bipolar disorder particularly among adolescents tends to overlook essential features of the disorder including quality of life, functional outcomes, and clinical outcomes such as mood instability. O’Donnell continues to utilize data (collected from a randomized treatment trial) following her post-doctoral fellowship at UCLA with David Miklowitz. Her research focuses on the effects of an evidence-based treatment for bipolar disorder on functional and quality of life outcomes. In addition, O'Donnell is examining whether mood instability, the presence of intense, rapidly shifting emotional states, among adolescents with bipolar disorder is related to bipolar subtype (I vs. II), is prognostically associated with mood symptoms and global functioning over time, and moderates treatment outcomes.